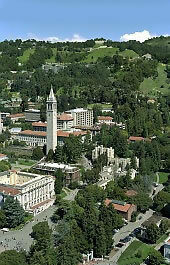 The University of California at Berkeley stretching from downtown Berkeley up into the Berkeley Hills, is known among scholars as the top-ranked public university in the world. Beyond the realm of first-rate research, the university also welcomes guests to enjoy the garden-like campus, as well as unmatched views of San Francisco and the surrounding Bay Area. The Berkeley Campus consists of 14 colleges and schools with a total 24,000 undergraduate students and 10,000 graduate students enrolled. Lawrence Berkeley National Laboratory is located in the hills above the UC Berkeley Campus. It has been a leader in science and engineering research for more than 70 years and it holds the distinction of being the oldest of the U.S. Department of Energy's National Laboratories. It was founded in 1931 by Ernest Orlando Lawrence, winner of the 1939 Nobel Prize in physics for his invention of the cyclotron. Sixteen elements were discovered at the Lawrence Berkeley National Laboratory between 1936 and 1974. Please see this website for a list. The Berkeley Lab conducts unclassified research across a wide range of scientific disciplines with key efforts in fundamental studies of the universe; quantitative biology; nanoscience; new energy systems and environmental solutions; and the use of integrated computing as a tool for discovery. There is restricted access to the Laboratory, however a tour of the Laboratory's facilities will be arranged during the symposium. High above Berkeley, on the very top of the hills, you will find the Lawrence Hall of Science, which is worth a visit for its spectacular views over the Bay Area alone. It is a singular resource center for preschool through high school science and mathematics education, as well as a public science center with exciting hands-on experiences for learners of all ages. Established in 1968 in honor of Ernest O. Lawrence, UC's first Nobel laureate, Lawrence Hall of Science is a national leader in the development of innovative materials and programs for students, teachers, families, and the public at large. 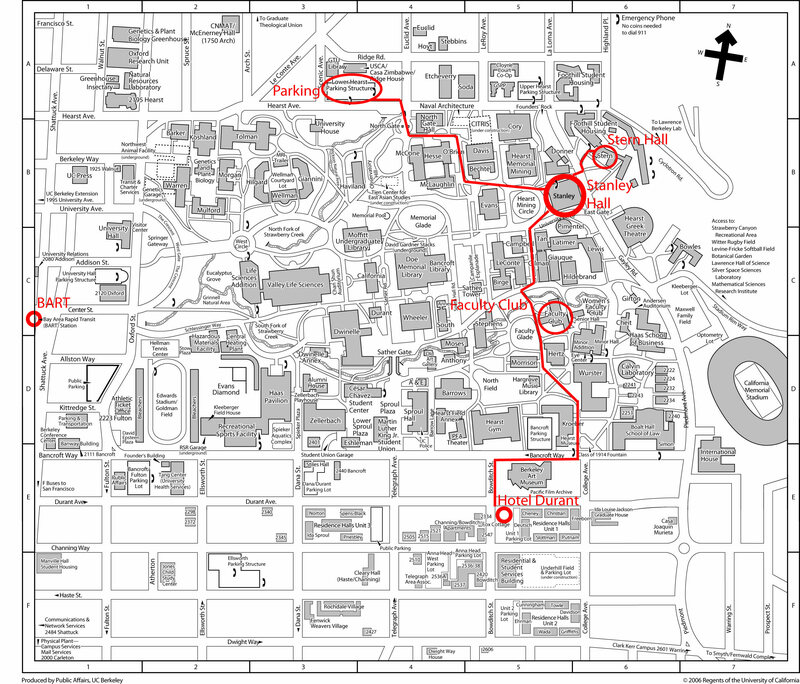 There is bus service every hour from Campus to the Lawrence Hall of Science. It is open daily between 10 a.m. and 5 p.m.
Perhaps the most distinguishing feature of the City of Berkeley is its diversity, from the large international population to the many varied restaurants, theaters and museums. We would like to invite you to experience this first-hand through a walk down the streets of Berkeley and visit the many bookstores and gift shops. Nearby, the luscious green of the wine country in Napa and Sonoma counties beckons, as do the metropolitan wonders of San Francisco with its famous sites, well-stocked shops, exquisite restaurants, and a variety of art museums and galleries. The majesty of the redwood forests and the marvelous California coast line is within easy reach, as is the city of Monterey with its world famous aquarium and neighboring Carmel-by-the-Sea with its many gift shops and galleries.